12 hours is half a day. Just on the airplane, you spend HALF A DAY. We were at the airport early ‘just in case,’ but Portland airport is always pretty easy. SFO on the other hand was kind of a nightmare. I thought I was at Disneyland the way that there were lines, long lines for everything. I had never been on a flight that lasted more than 6 hours…so needless to say I was feeling a little nervous for the 12 hours flight. Before we boarded we had a 4 hours layover in SFO so naturally, we ate cheeseburgers at 9 am. We swept the currency counter clean of won after we were through with them and set for…another long line. This line was crowded and chaotic. 12 HOUR FLIGHT turned into 11! Somehow some way we landed an hour early- I have never been on a flight that has done that. We went through a short line at immigration and customs was funny because you just hand off a piece of paper as they are RUSHING you past them. We found Henry Oh who gave us our cell phone…mine was dead…along with the spare battery… so let me charge it on his for ten minutes… he told me to buy a charger if I wanted to make the battery last longer. hrm. 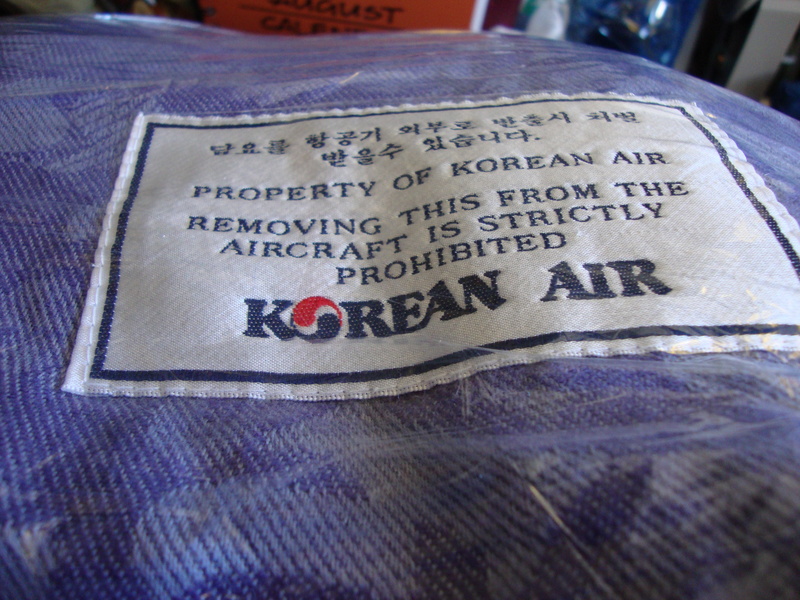 Korean Air was a delight to be on, these blankets were very soft. I understand why they have a disclaimer about stealing it. Watch movies the whole time? OKay! 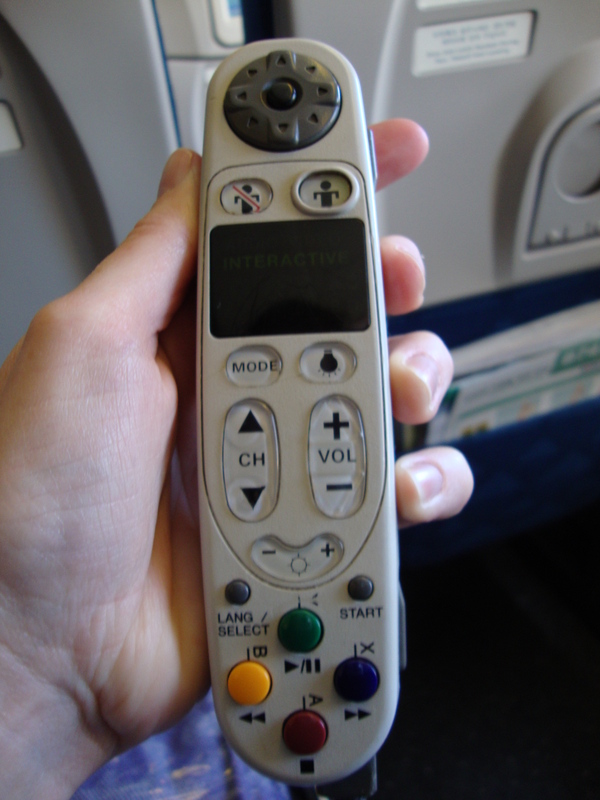 The device that helped you watch movies and play tetris! The bus ride was FULL of luggage and people. 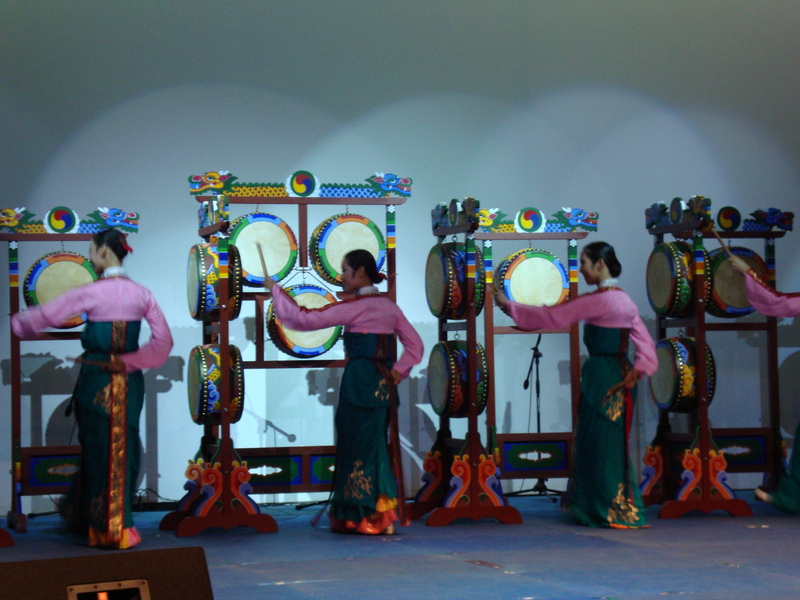 On our way to JeonJu I saw a sign leading to Angyang~ I wanted to take a picture but it wasn’t humanly possible. It got dark soon after we boarded the bus and all of the sudden the sky started to light up. I thought it was just a car, but Jeff pointed out that it was lightening in the sky. It was hot, sticky and lighteninginging. We stopped at a rest stop in (I can’t remember the name and I don’t know how to change my google to English at the moment so I can’t figure it out either.) It was hotter outside than in the bus where the air was actually beginning to freeze me. An hour to go, but it felt like 4. We finally arrive at JeonJu. Everyone is tired, grumpy and very sweaty. We get our “gifts” from EPIK and a room assignment. We staggered to the elevator, limped to our room and TOOK A SHOWER. We both took showers and went to bed wet. It took all of 6 seconds to fall asleep haha. I woke up at 6 am with excitement and wanting to clean up the room, organize my clothes for the stay. Jeff was having none of that. He had to plea with me to be very quiet so he could sleep the extra hour while I was having fun organizing. 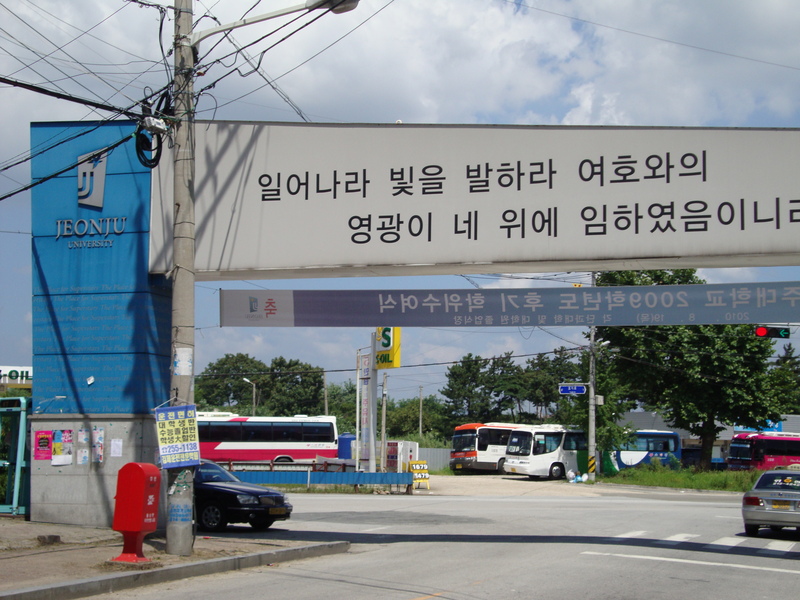 The entrance to the JeonJu University village. This morning we ate breakfast next to a couple from Corvallis, what are the odds that in a room full of people- we meet the people from Oregon? haha They were really nice and they are staying right next to us! Next, was our tour of JeonJu Uni which was brief and told us how to get to places. Then we walked around JeonJu Univerisy village. Thats right, we are sectioned off in a village of university. When we reached the end it was hard to tell how far we would have had to go to reach anything else! So, we are at JeonJu, everyone is real nice and it is hot as hell. The air barely moves and when it does you can hear it because of the cicada beetles. Yep, hes braking a piece of wood with his foot...no biggie. 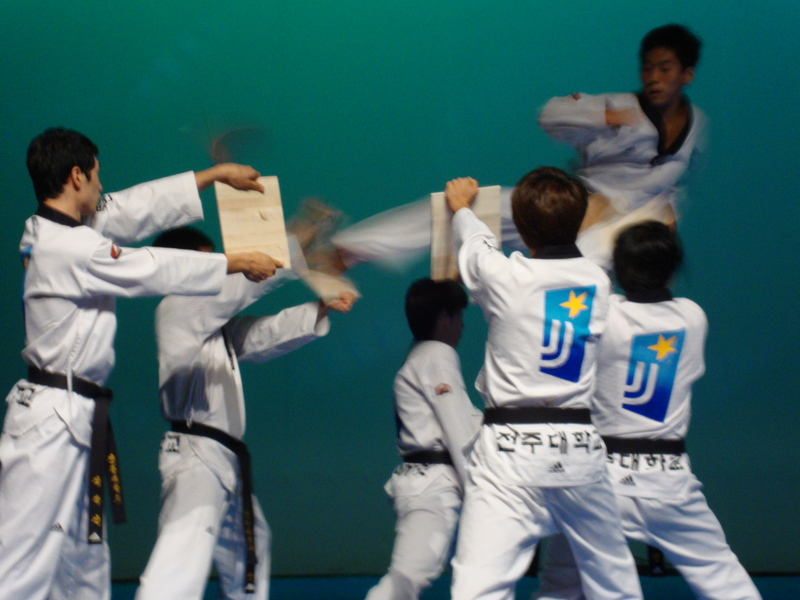 These are the JeonJu University Taekwondo club. They were so much fun! It was a long and hot day. Tomorrow I have to wake up early to have 4 viles of blood drawn out of me…without eating or drinking any water beforehand… doesn’t sound right does it? 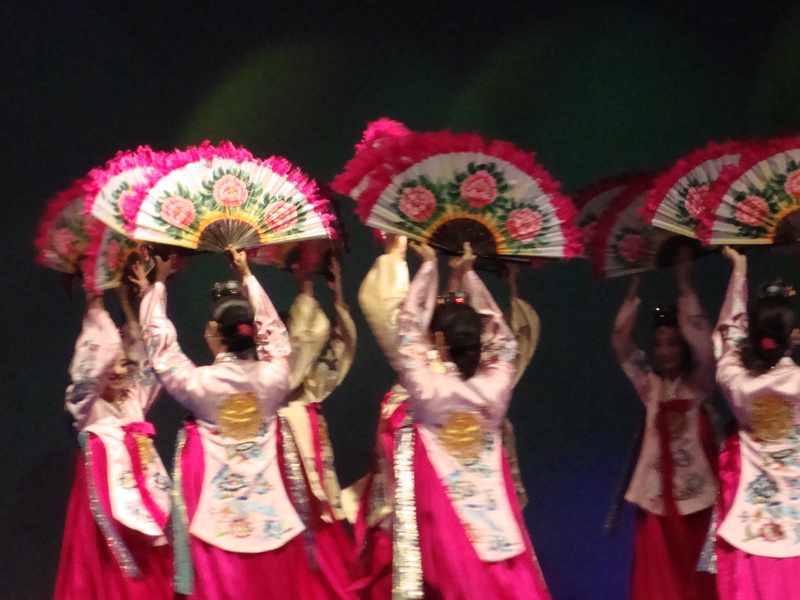 In 7 days I will be in JeonJu at the University ready to start Day 1 of orientation. But before I can do that I have to finish my time here. 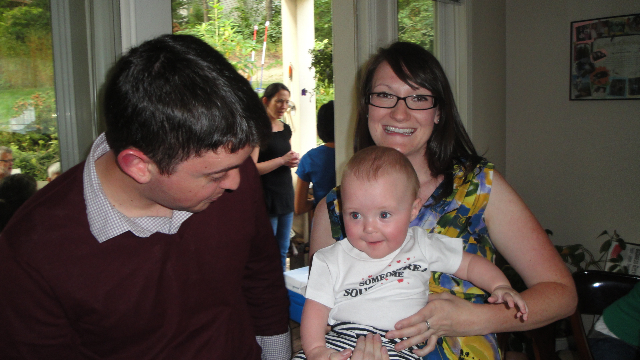 I had a Bye-Bye Party this weekend that was so much fun. Lots of friends and family came and I felt so special! Sounds corny, but it felt really good. 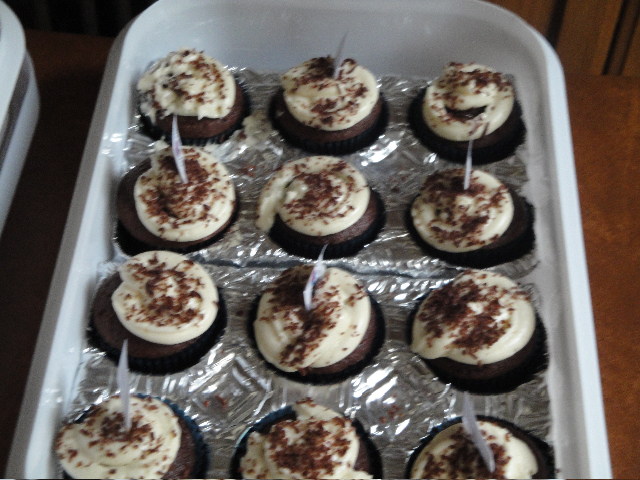 Chocolate cupcakes with raspberry chocolate ganache filling and cream cheese raspberry frosting. yummy! 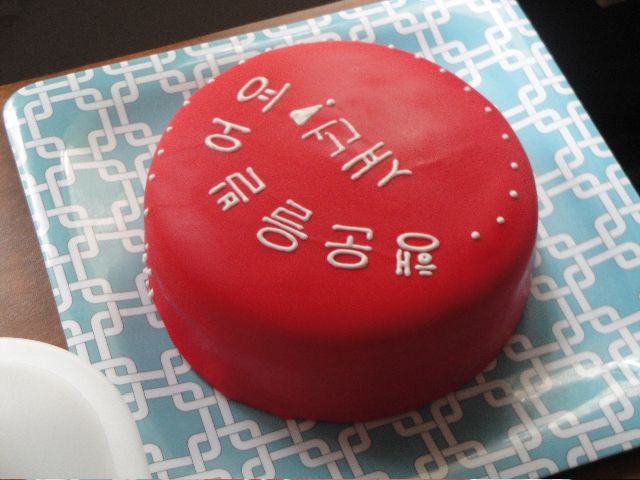 Red Velvet cake with cream cheese frosting. Yumm! Jeff, baby Ella and I!! Her shirt says "Someone in South Korea loves me!" After the ByeBye Party reality set in and I told myself that I needed to look to the future some more. I got excited by looking at this: The schedule for the orientation! Day 1 will consist of a campus tour, opening ceremony about EPIK life and a welcoming dinner! Day 2 will have the medical check up (sad) and Korean History classes. 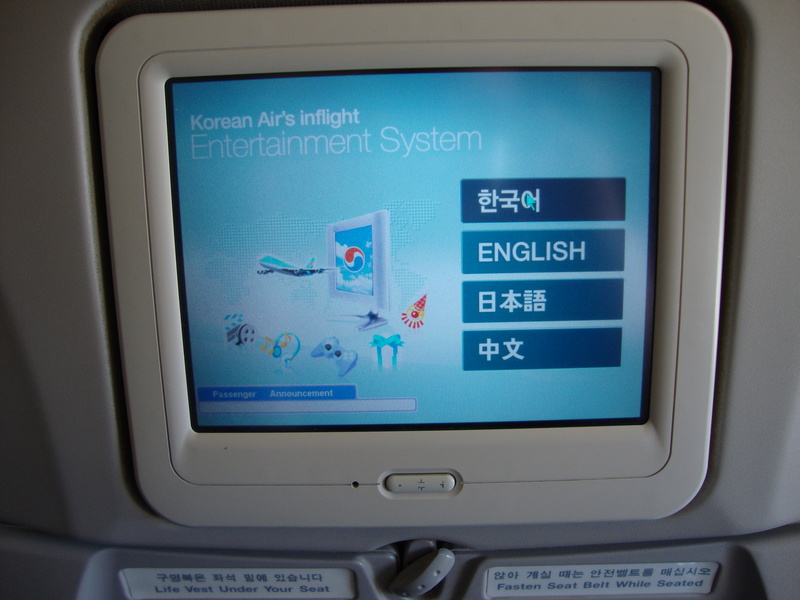 Accompanied by Korean movies at night, but not until after Korean language classes. Day 3 has classes about teaching and how to be a successful communicator. Again, more Korean language then movies. 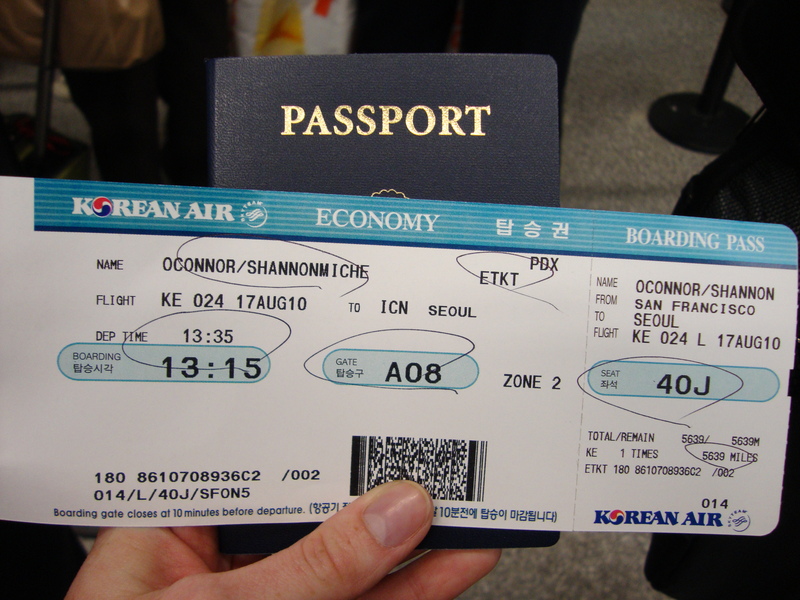 Day 4– I think we go somewhere because it just says that we are going to have “Korean Cultural Experiences.” o0o lala. Day 5 will have more about teaching, co-teaching, differentiation, lesson planning and classroom management classes. Oh wait! Korean movies at night haha. Day 6 is a duplicate of Day5. Day 7 has a mini lesson demonstration and meeting with supervisors and a farewell dinner before everyone leaves to their perspective place in the country. Day 8 will consist of a closing ceremony and lunch then we will go to where we are living! ahh!!! Now to the present- my packing. 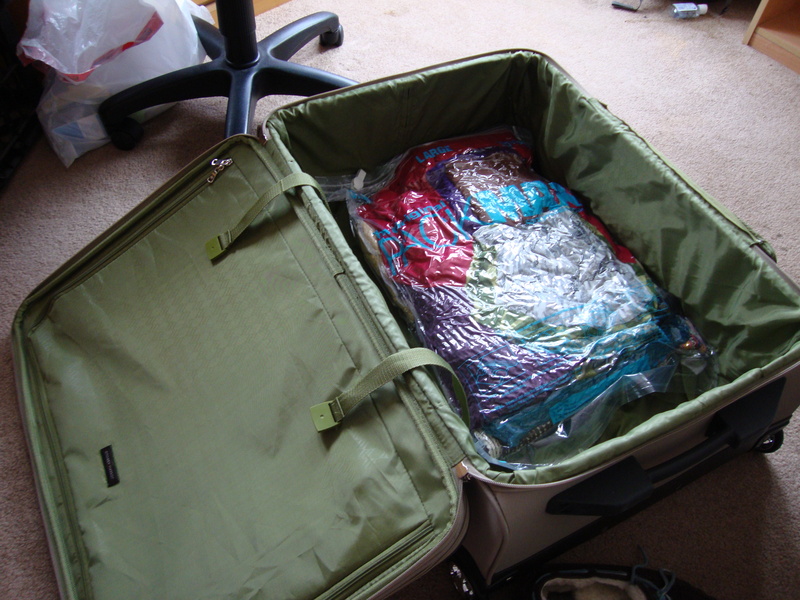 My luggage is beginning to fill up with only one PACKMAX in it...uhoh...this is going to be rough.